There is something about the summer that makes me want to eat fruits all day, everyday. Summer is going away way to fast, which means that the watermelon will be leaving us too! When I saw this amazing summer fruit at my local grocery store, I had to have it! I wanted to enjoy it just one more time before autumn creeps in. 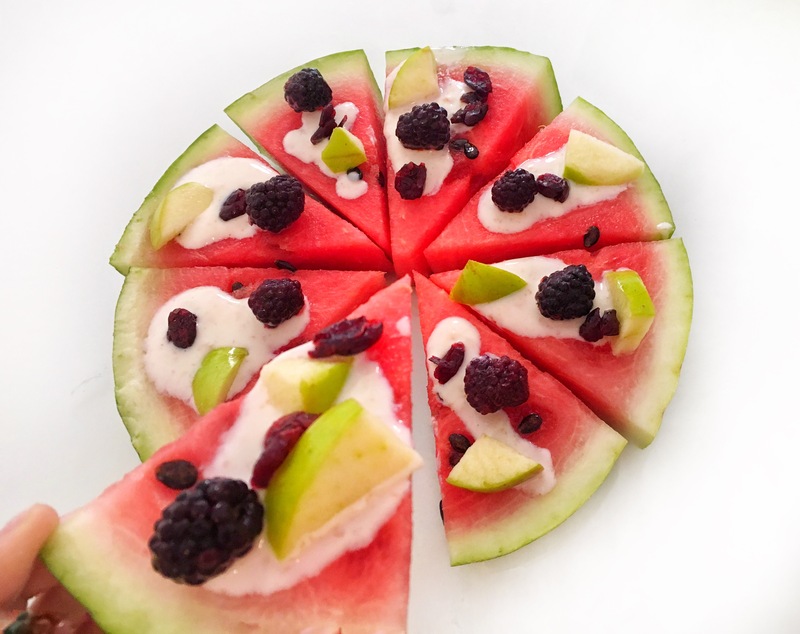 What got my attention recently was the idea of creating a watermelon pizza! Once I gave it a try, it instantly became one of my favorite treats to eat during summer. It’s so easy to make it, you don’t even need to turn on your oven and the most important part is that you won’t feel guilty even if you eat a few extra slices. Also on top of it, you can add anything you like! Indeed, it is the perfect summer dessert! The one that I made is topped with frozen blackberries, green apple, dry cranberry and low fat greek yogurt. As I mentioned above you can use what you have in the fridge or what’s seasonal in your area. So go ahead and have a few slices. Eat as much as you want(you can even over eat), because this pizza won’t make you feel guilty at all! I promise, you won’t need long, treadmill runs the day after. Some of you might say this treat is nothing like real pizza, and that it should not be compared. Please give it a try guys, it’s so delicious and perfect for your snack time. 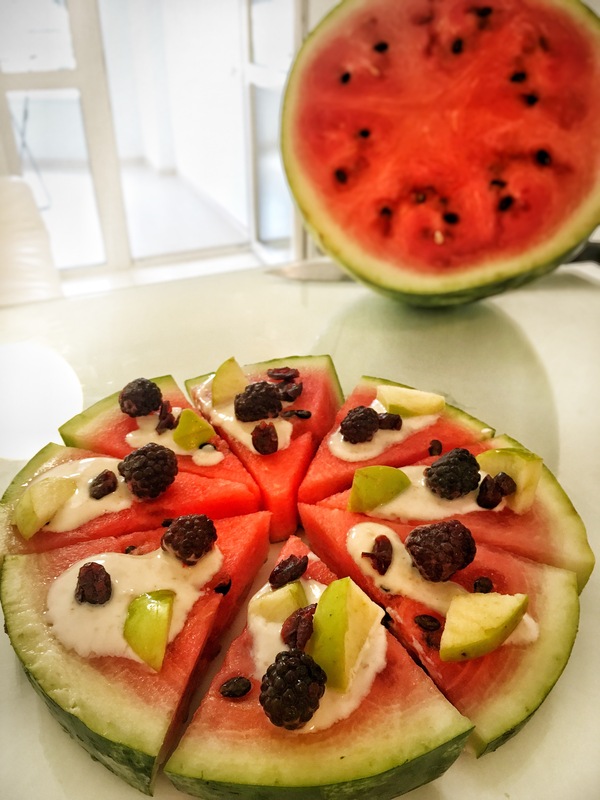 Real pizza lovers might hate on me right now, but trust me, you have never tried something as tasty as this watermelon pizza. Simple as that ! Serve, eat and enjoy !